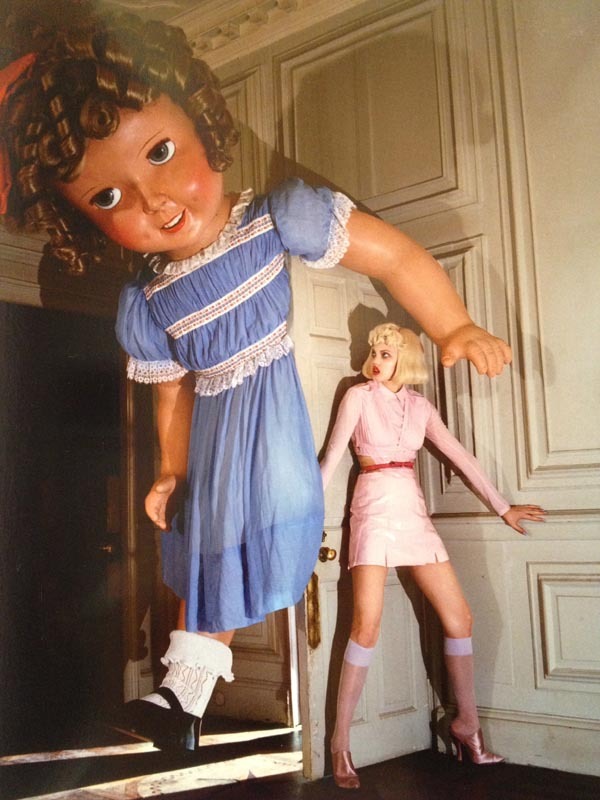 I finally made it along to the Tim Walker exhibition at Somerset House last week. The exhibition, which is being supported by Mulberry (Walker has shot their campaigns for the past four seasons), accompanies the launch of his latest book Storyteller. It's been hugely popular, but now is a great time to go as it's nearing the end of its run so the crowds have thinned out a bit. When I visited there was plenty of opportunity to really linger over the images and experience them up close. Tim Walker's work is renowned for its strong underlying narrative, and it's his use of props that is frequently the key to this. Often surreal and giant sized, these are objects that play around with our sense of scale. Alice in Wonderland is the literary reference that perhaps springs most readily to mind. Stepping into the East wing gallery at Somerset House you could indeed be forgiven for thinking that you have fallen down a rabbit hole into another world. In a sense you have, for you find yourself in the world of Tim Walker's fabulously creative imagination - a world of dark dreamlike fairytales where beauty is juxtaposed with English eccentricity and haute couture. The giant props are the first thing to hit you. 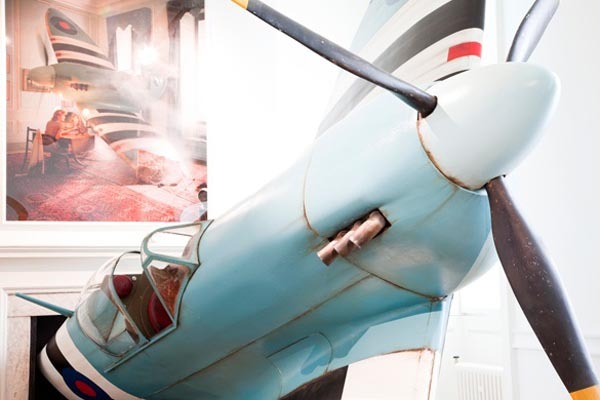 Almost immediately you are confronted by a life-sized spitfire - from a 2009 British Vogue shoot starring Lily Donaldson - which appears to have crashed through the room. A little further on you encounter a giant swan. Later there are skeletons, insects, a sinister giant doll and some rather wonderful jelly mould hats. It's pure theatre. Giant swan boat with Agyness Deyn in background (photograph by James Stopforth). Alongside the props are some well known faces; a sublime Tilda Swinton in aviator goggles, Agyness Deyn in the Namibian desert and Stella Tenant in various English stately homes. Walker's photographs often depict dark fairytales. Pursuit or the idea of being chased or hiding is a recurrent theme in his work, but just as children love to play hide and seek or run away from monsters, we willingly collude with his fantasies. It's a world of bizarre cheese dreams rather than chilling nightmares. Ironically perhaps the most haunting and powerful image of all is his portrait of a contemplative Alexander McQueen gazing directly into the camera lens. This is one of a series of intimately revealing portraits shot in a simple white studio that marks a shift away from the reliance on fantastical and extravagant theatrical props. You can hear Tim Walker discussing this stripping back process and change of direction in his work here in an interview with Penny Martin, editor in chief of The Gentlewoman. The narrative of these images is no less, and perhaps much more, compelling than those in which an army of props is employed. Here however, the story that is being offered is a fleeting glimpse into the soul of those whose portrait Walker has captured, proving perhaps that with or without props, Tim Walker is a photographer who has a lot more to give. Storyteller is at Somerset House until Sunday 27 January. Admission is free. Don't miss it. Really!